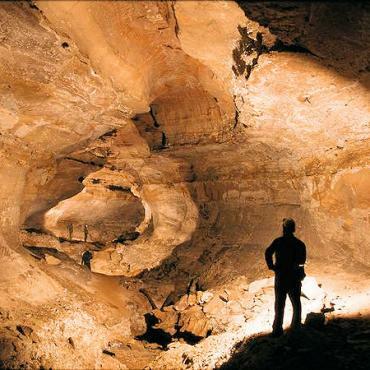 The 400 miles of labyrinthine passages (with an average of five new miles discovered each year) and domed caverns of Mammoth Cave National Park lie halfway between Louisville and Bowling Green. The amazing geological formations, carved by acidic water trickling through limestone, include a bewildering display of stalamites and stalactites. A huge cascade of flowstone known as Frozen Niagara, and Echo River, lies 365 ft below ground and is home to a unique species of colourless and sightless fish. 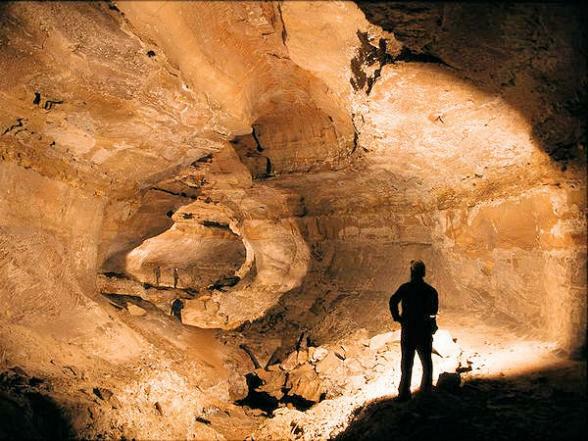 Tours of the world's longest caves are available daily.